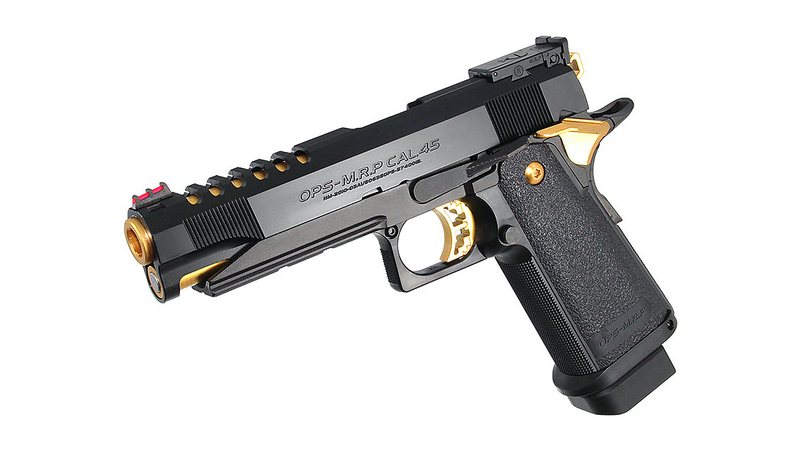 Everyone knows the Tokyo Marui Hi-Capa 5.1 is one of most reliable, accurate and consistent GBB pistols out there. 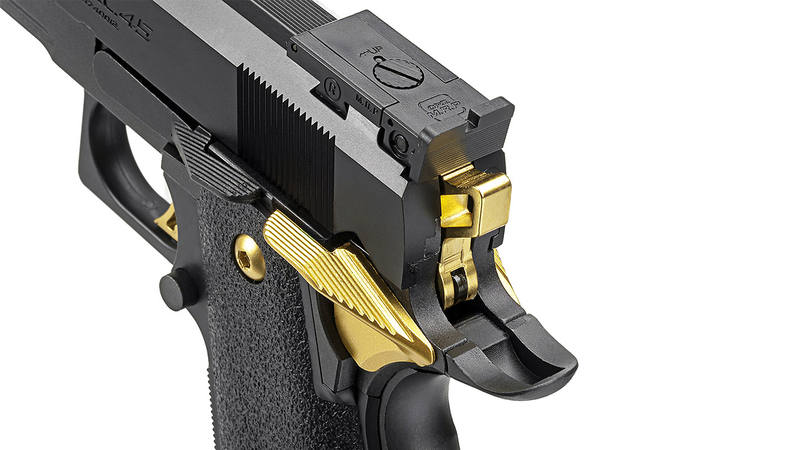 They aren't wrong, as every manufacturing company known for making spare parts have always custom designed an accessory for the Hi Capa. 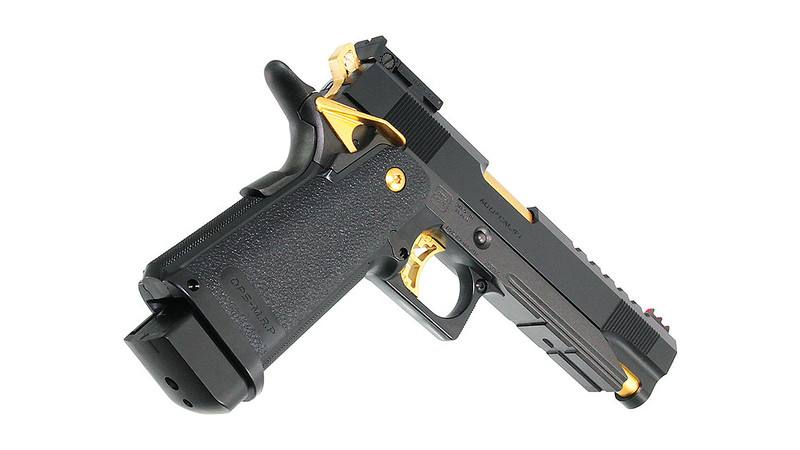 Now, Tokyo Marui release their Gold Match version. 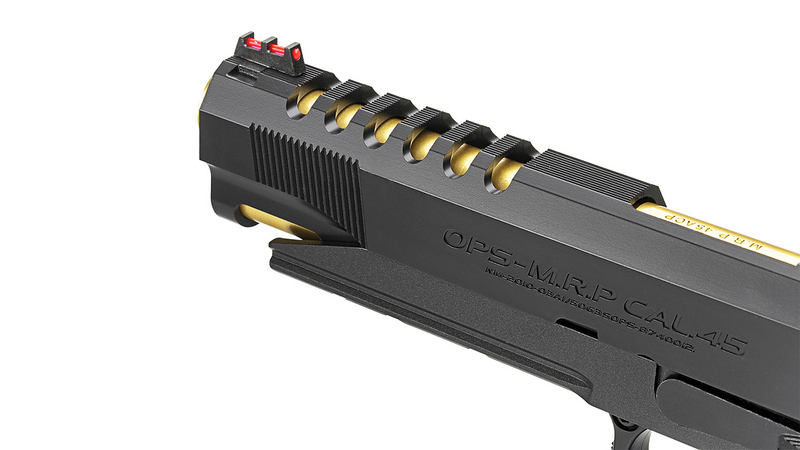 Please note that Marui wanted to keep the smooth uninterrupted look of the lower body without spoiling it with mounting holes for the RIS rail. 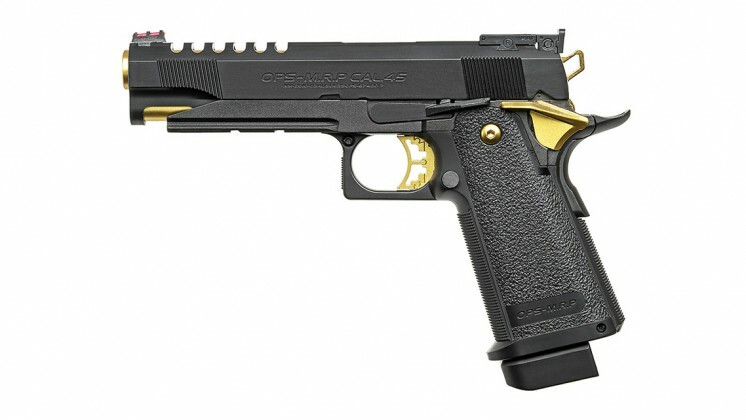 For those who want to install the rail, Marui expects you to punch 2 holes to attach lower rail. The position of these 2 holes is already marked for you when you take the slide off the gun and look at the lower body from the inside - Please see smaller picture above. 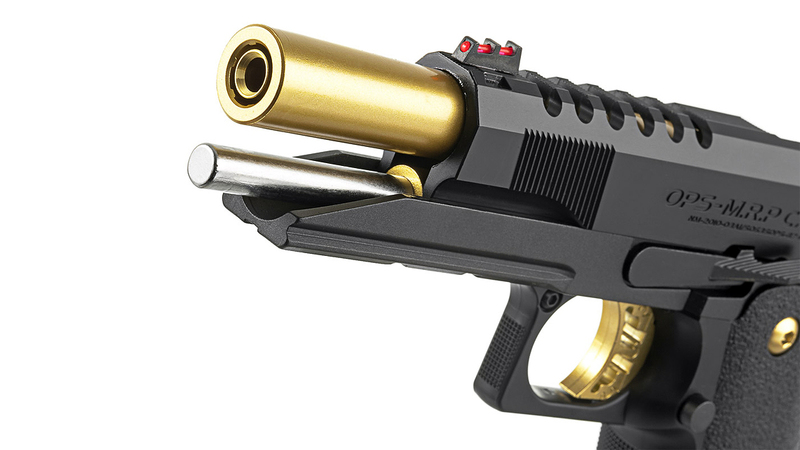 One thing that sticks out like a sore thumb are the golden parts, such as the trigger, outer barrel, thumb safety, screws and hammer. 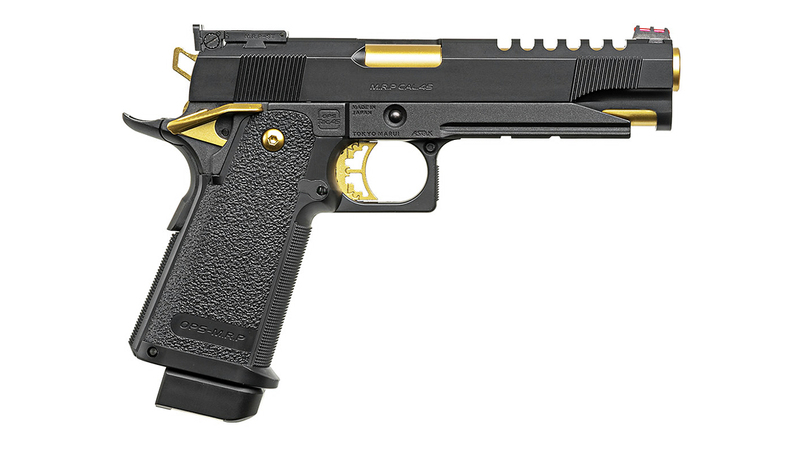 This is purely for aesthetic reasons but it does make the Hi Capa more like an actual Race Gun. Internally, it's very much the same. The hop up can be found once you remove the slide. In terms of accuracy, you can always expect the best out of Tokyo Marui but the Hi Capa, young and old, takes the cake. 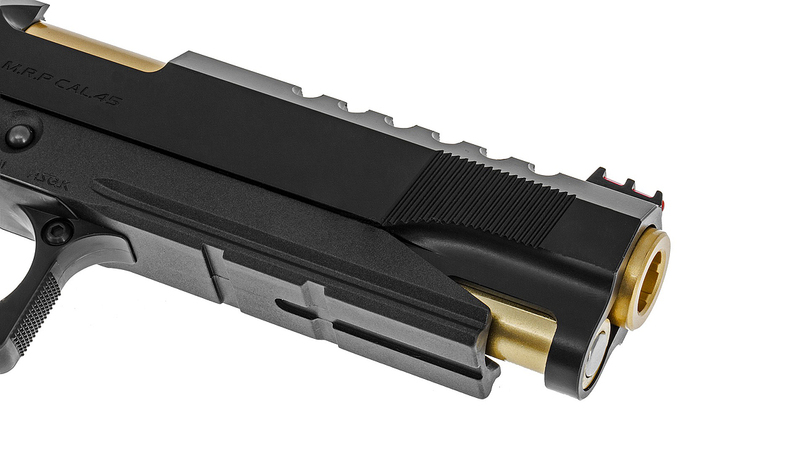 It does not have the have the hardest kick in the world but it's so incredibly snappy that target acquisition after every shot is easy.